This entry is part 5 of 6 in the series My Creative Journeys. For as long as I can remember, I've loved stuffed animals. I've always liked animals and wanted a pet but was never able to get one, so I started collecting the next best thing. They're so cute and soft, and I say you're never too old for them! 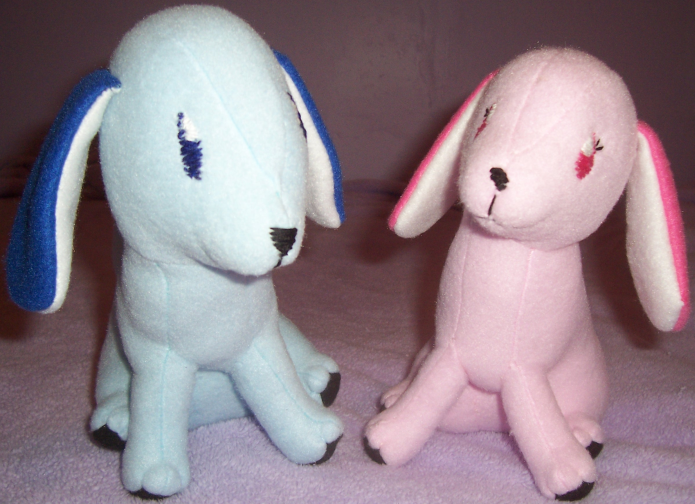 Anyway, ever since I was a little girl I wanted to be able to make my own stuffed animals so I could have some of my own characters. But even though my mom and dad both know how to hand-sew, I never thought to ask them to teach me. 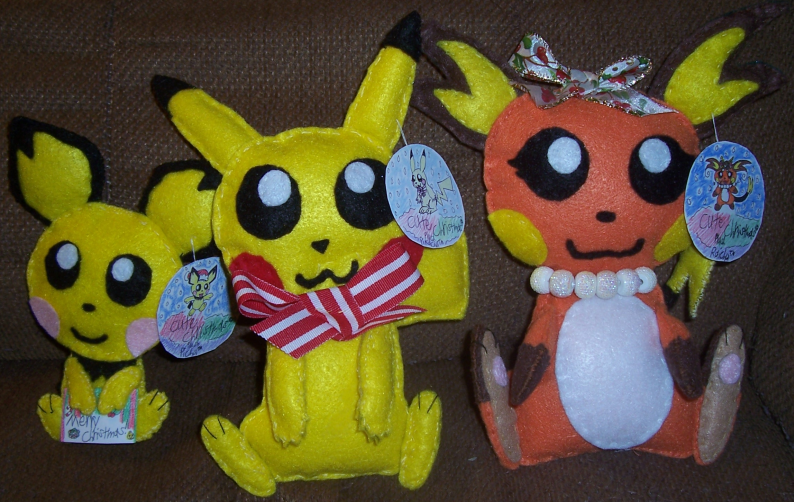 Then in November 2014, when I was 18 years old, I'd been talking to someone who made hand-sewn plushies, and she taught me how to make one! 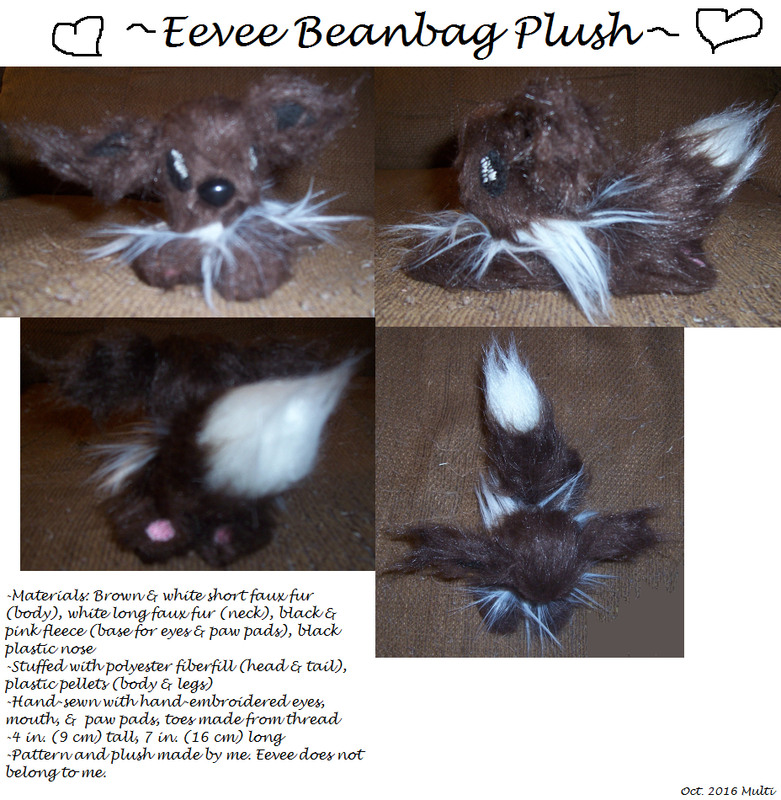 We made my first handmade plushie together, and in December I decided to try making some on my own. 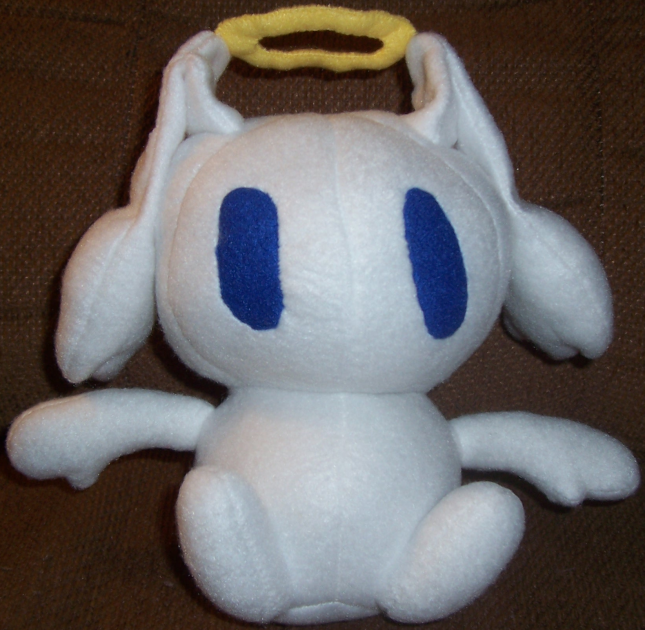 My sewing and pattern-making skills weren't very good at first, so my first few plushies didn't have much shape and were fragile. For a while after making my first three plushies on my own, I practiced my hand-sewing by making plushies from free patterns I found online. Then in February 2015 I attempted making my first pattern for a "3-D" plush and also tried new techniques. I kept trying, learning, and improving, and my plushies became better-shaped and less fragile. At first I only used felt, but over time I started to experiment with fleece, faux fur, and minky. In June 2017 I got my first sewing machine and in July I made my first machine-sewn plushies. I had to learn how to use the sewing machine so at first I had some trouble, but eventually I got the hang of it. 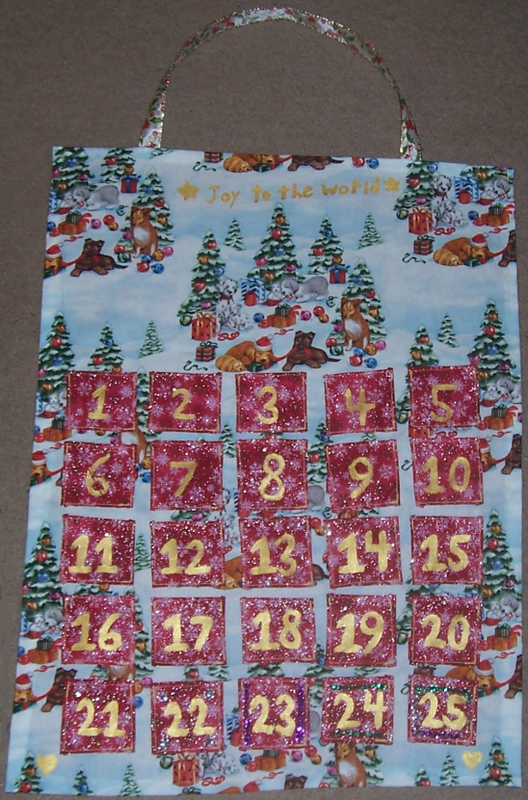 I also began to try making a few things other than plushies, like this Advent calendar. How am I doing with my sewing now? Well, I can say I've certainly learned a lot and I'm definitely better than I used to be. However, I'm still no expert, and I'm still learning more and more about sewing and pattern-making. 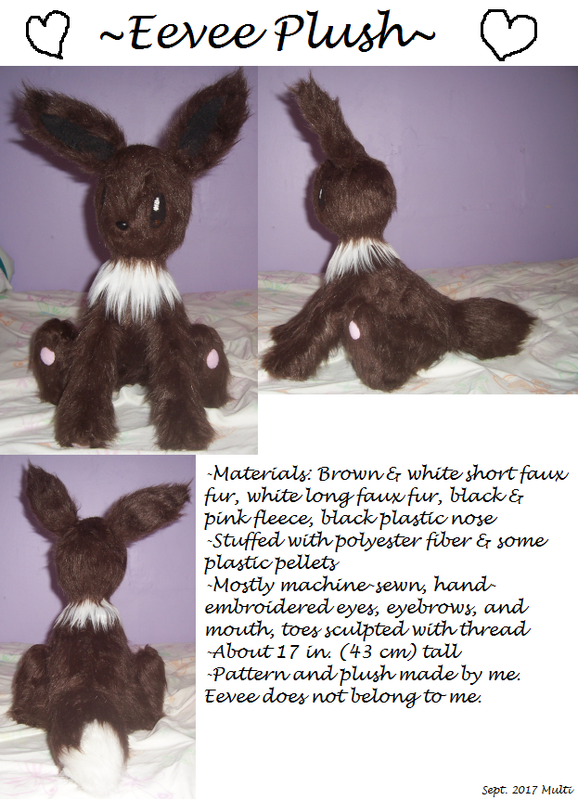 Even though the reason I wanted to learn to make plushies in the first place was so I could make some of my original characters, I haven't made many of my characters due to the difficulty of pattern-making and finding the right fabrics. 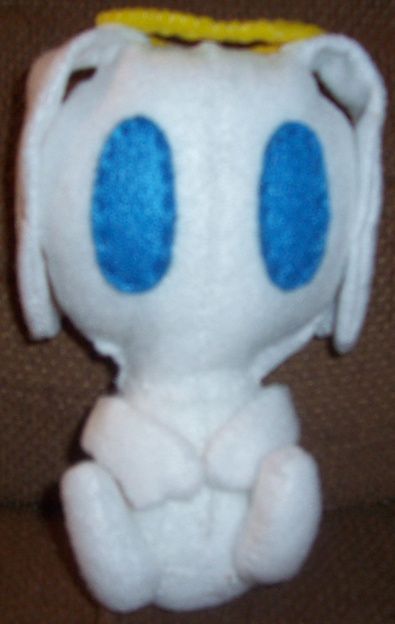 Even so, I've made many plushies so far, given some away, and even sold a few! It's been a lot of fun, and I'll continue working on improving. 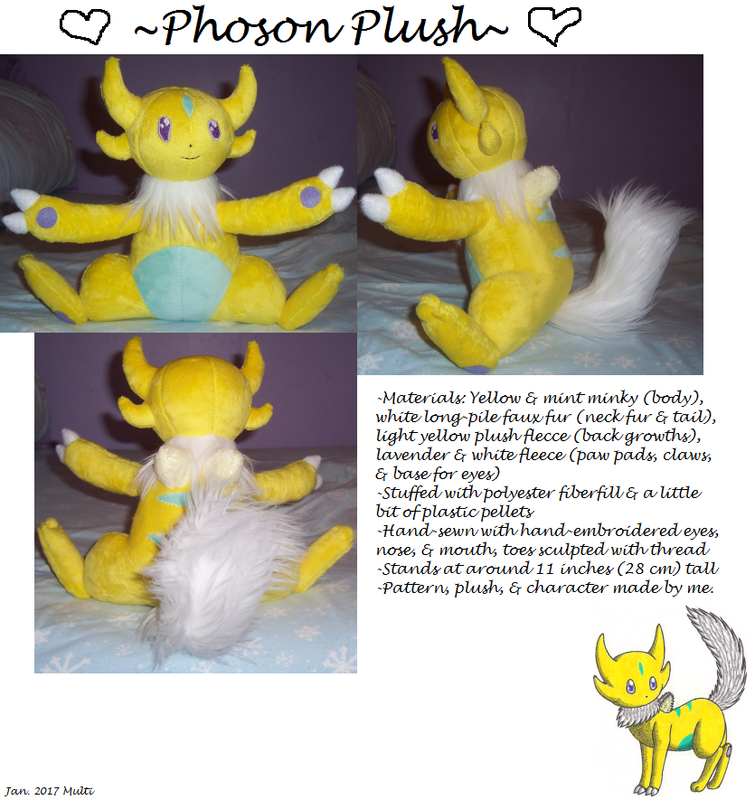 Someday I'm sure I'll be able to make more plushies of my characters! Dave-W, faroukfarouk, Pilgrim and 2 others like this. Brightmoon and Multifavs like this.